I used veggies I had in my pantry: sweet potatoes, celery, onion, and carrots. Feel free to change these with what you have in your fridge and pantry. Do I Have to Saute Onions Before Adding to My Slow Cooker? While I do recommend that you saute your onions you can skip it. Cooking them makes the flavor is better. In this recipe I was lazy and did not cook the onions first. I cut up and saute a whole bag of onions at the same time. Then I freeze them to just grab and throw in the slow cooker whenever I need them. It does make it taste a little richer, but if it’s a choice between no soup or sauteeing, you know what you need to do. Another easy substitution is to use onion powder. I use about 1 teaspoon per cup onion. recipe and had some in my pantry.I soaked the beans to see if they would cook at all, and to my surprise they did great. Typically, I avoid soaking my beans because I’m lazy and forgetful and in the slow cooker an overnight cook acts as a softener for the beans. 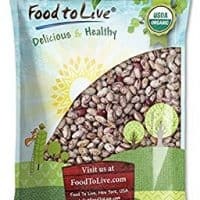 If you don’t want to soak yours you can put them in your slow cooker the night before and cover with a few inches of water above the beans. Cook on low overnight. Then you can continue with the recipe as written. You can discard the first cooking water and add fresh. You may need to adjust the morning water since you may have extra from cooking the beans overnight. What Can I Substitute for Celery? 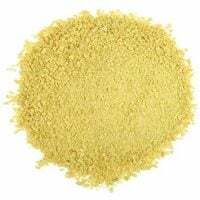 I use about 1/2 teaspoon of ground celery seed or 1 teaspoon of whole celery seed if I’m out of celery. 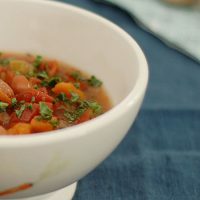 I love a simple crockpot meal and this Italian Slow Cooker Cranberry Bean Soup is a really good one. 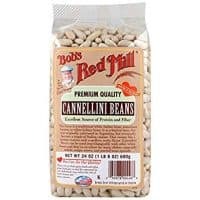 You can use any dry bean you have on hand (except for kidney beans) in place of the cranberry beans, though I recommend using pinto or cannellini beans. Put the beans in a mixing bowl, fill bowl with water at least 4 inches over the beans. Cover and soak overnight. 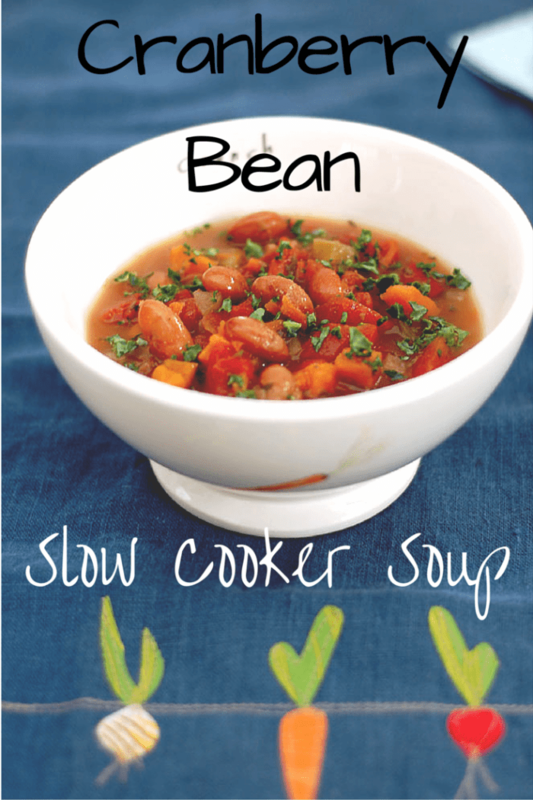 Drain the beans and place in your 4 quart slow cooker. Then add the water, bouillon cube, celery, carrots, sweet potato, onion, garlic, balsamic vinegar and herbs. Cook on low 7 to 9 hours or on high for 3½ to 4½ hours. Stir in the tomatoes and nutritional yeast. Turn to high and cook until the tomatoes are piping hot, about 20 to 30 minutes. Before serving taste and add salt and pepper. Now's the time to add more herbs if you feel like the flavor has faded during cooking time. If you are using the chopped greens you can stir them into the soup in the slow cooker or add them per bowl. 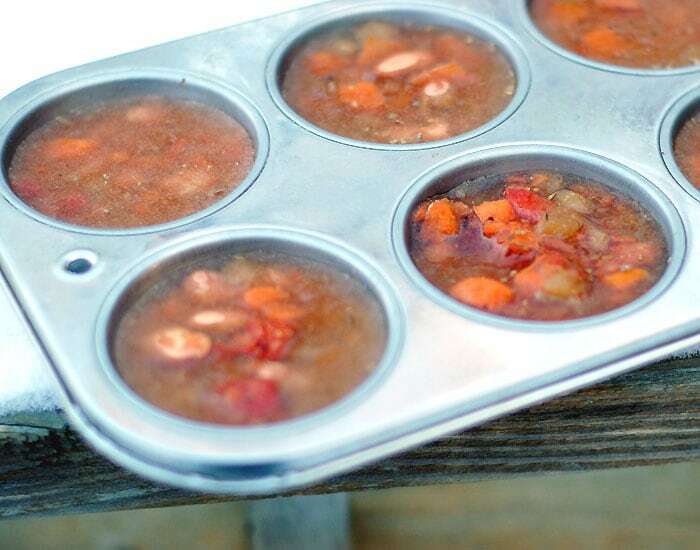 They will soften from the heat of the soup and don't need to be cooked. You can use kale, collards, spinach, kale, or other mild green in this soup. 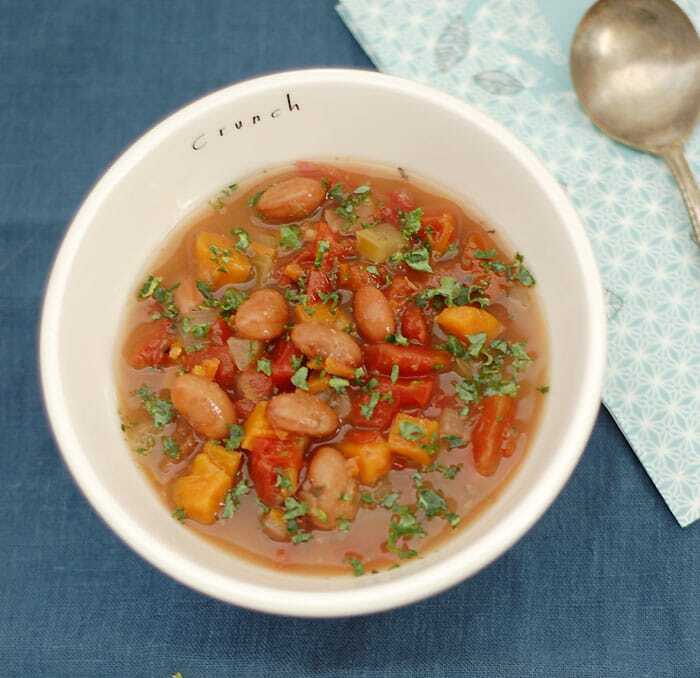 Can You Freeze This Slow Cooker Cranberry Bean Soup? 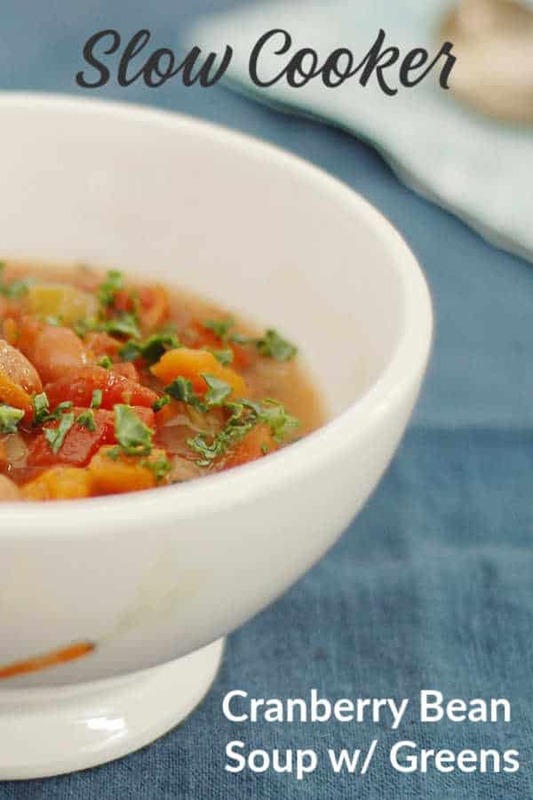 A brothy bean soup is always does great in the freezer. Sometimes I freeze them in the amount I’d use for one meal, but I also pack up a few single servings for a grab and go lunch. outside. They did okay, but I had to let hot water run over the bottom for a few minutes before they would come out. Silicone muffin tins would have worked better I think. Hi, This looks great! Thank you. In the instructions you mention soaking the beans overnight, but after that I think you forgot to mention adding the soaked beans to the slow cooker? I sure did. Thanks for catching that. It’s updated now. Soup like this is so yummy! I adore beans, I have never heard of cranberry beans! They will be an adventure to research so I can get a hold of them. In the meantime your substitute suggestions will be great. Slow cooking is so much a part of our cooking adventures now a days. I’m looking forward to making this soup! Sounds so good! I was wondering if the herbs are fresh or dried….Thanks. Ooh, I want to try this when my cranberry beans arrive from Rancho Gordo. We love beans and eat them every day. Do you know how I could convert this to the instant pot pressure cooker? I am a dialysis nurse (aka worked to death), and the IP has been a godsend. Since you soak the beans in the slow cooker recipe, I think you could try high pressure for about 20 to 25 minutes. Hi can you give me an idea of chopped greens please!!!!! Kale, turnip greens, spinach – things like that. Thank you Kathy for this scrumptious recipe! I used pinto beans and when I found I had no celery I subbed in bok choy, which also provided the greens for the final touch. Came out great. I’m a soup freak every day of the year. So this one is going to get a lot of replay. Keep up the wonderful, generous work you do.